Applying for financial aid for college is becoming less stressful after President Obama changed the earliest FAFSA filing date from January 1st to October 1st. This means that the FAFSA can be submitted on October 1st for the 2017-2018 academic year, whereas in the past the earliest date to submit it was on January 1st. This is huge for high school seniors. Typically, high-school seniors apply in their fall semester to a variety of colleges and wait to see if they are accepted. Subsequently, once January 1st came, they would file a Free Application for Federal Student Aid (FAFSA) and hear back around March or April to see how much financial aid each school would offer them. For those students that depended on financial aid, whichever school offered the most could have a significant impact on their decision. With the window for FAFSA applications opening October 1st, high school seniors will now potentially know earlier what schools will offer them financial aid and how much. This can significantly help them decide what college they will attend and give them more time to plan for making the transition to college, as well as take the stress and worry away from having to wait last minute to decide on a school because their financial aid offers would come later in Spring. 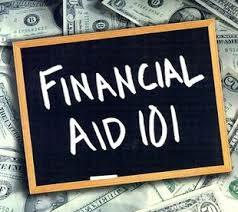 It is important to note that FAFSA is on a first come, first serve basis. Parents and high-school seniors need to apply as soon as possible to improve their chances for financial aid. It is also crucial to be aware that each state has their own deadline for FAFSA applications (California is March 2nd, 2017 for the 2017-2018 school year). Estimating taxes for the FAFSA was an arduous task, but now there is a new feature that will help expedite the process – linking the FAFSA application directly to the IRS. With the new law enacted, parents and students can use the “prior prior rule,” which allows for the tax return from 2 years ago to be submitted for financial aid purposes. For example, for the 2017-2018 academic year, the 2015 tax return would be used. There is also a feature that allows parents and students to directly link their FAFSA to the IRS website which will prepopulate the relevant tax information. Planning for college is one of the most daunting financial tasks parents will face, but with prudent financial planning and wider application periods, it may have gotten a little less stressful.